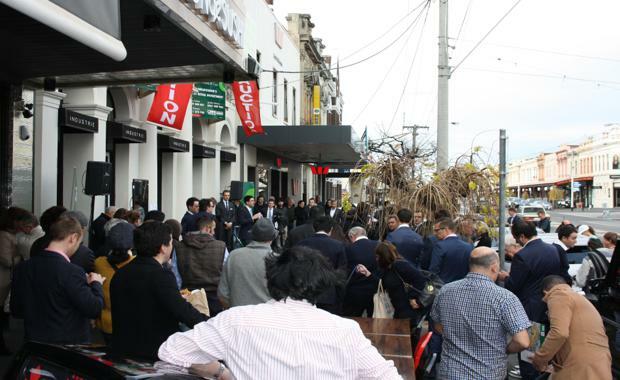 A Hong Kong-based investor has acquired a ground floor retail shop in the South Melbourne Village for $1.56 million, representing one of the strongest building rates ever recorded in the area. The 102sqm retail outlet, located at 1/295 Clarendon Street, features high exposure to Clarendon Street, which has traditionally been one of the more tightly held strips across Melbourne. The shop is within a fully restored former bank building, which was developed into the ‘Havana’ apartment complex, comprising 13 residential apartments and 1 ground floor retail shop. The property was sold with an existing five year net lease to fashion retailer Industrie, expiring 2019. CBRE’s Rorey James, Jackie Hanna and Josh Rutman negotiated the sale via a public on-site auction. The sale represented a very strong building rate of approximately $15,300 per sqm. Mr James said the public campaign received strong interest from both local and offshore parties, with both groups recognising the strong investment and earning potential of the current retail market. “The strong sale price further indicates the depth in the buyer market for well located strata retail investment properties such as 295 Clarendon Street,” Mr Rutman added.